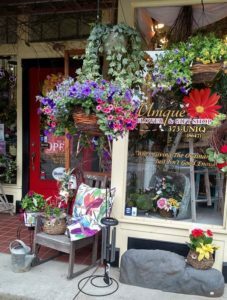 A UNIQUE FLOWER & GIFT SHOP is located at 154 Front Street. The shop is a full service florist; we deliver locally and can wire out an order to another town or state. We specialize in providing brides one on one attention to see her fairy tale dream come to life. At A UNIQUE FLOWER & GIFT SHOP we offer a free one hour wedding consultation to our brides. Working with a bride is very rewarding. Seeing her face when she looks at her bridal bouquet for the first time is priceless. Needing remembrance flowers for a loved one? Let us create a beautiful funeral spray and family pieces that reflect the love and wonderful memories you shared with your loved one. We take pride in personalizing your loved ones flowers to reflect their personality. We offer prearranged funeral flowers. This helps make the process a little easier knowing the flowers are already taken care of when the time comes. And you will know the flowers reflect your loved ones life and personality. Not only does A UNIQUE FLOWER & GIFT SHOP offer fresh cut and silk arrangements, we also have plants and dish gardens. 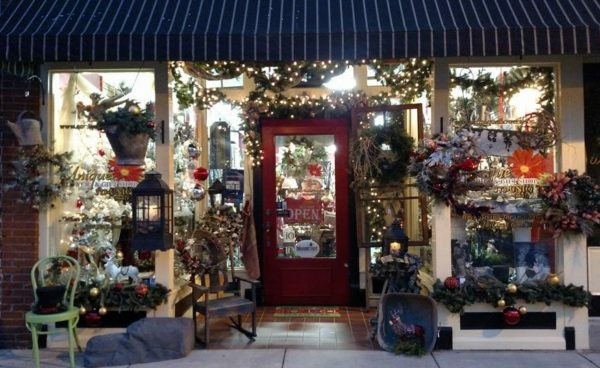 We carry an assortment of angels, greeting cards, UNIQUE gifts, baby gift giving items, candles, antiques and so much more. We can design a gift basket for you. Whether it’s a fruit and/or snack basket, gourmet basket, candy basket, pamper yourself basket etc., it will be sure to brighten someone’s day. How about a candy arrangement or a balloon bouquet? We offer those also! As you can see, we have many different choices for you. We also offer decorating advice whether for a home or office. Need us to decorate for a company party or a party your are having at home? Give us a call and we will help create a theme for your party, purchase the items, design the items and decorate everything for you! Need us to come back and tear down…..we can do that. Don’t’ have time to decorate your Christmas Tree, put up decorations for the different holidays, give us a call! A UNIQUE FLOWER & GIFT SHOP are also the proud owners of A UNIQUE FLOWER & GIFT SHOP FOUNTAINS…we rent fountains from chocolate, ranch, caramel, nacho cheese and champagne. “ WHEN SERVING THE ORDINARY JUST ISN’T GOOD ENOUGH”. We also offer a nice range of rental items for your special event.